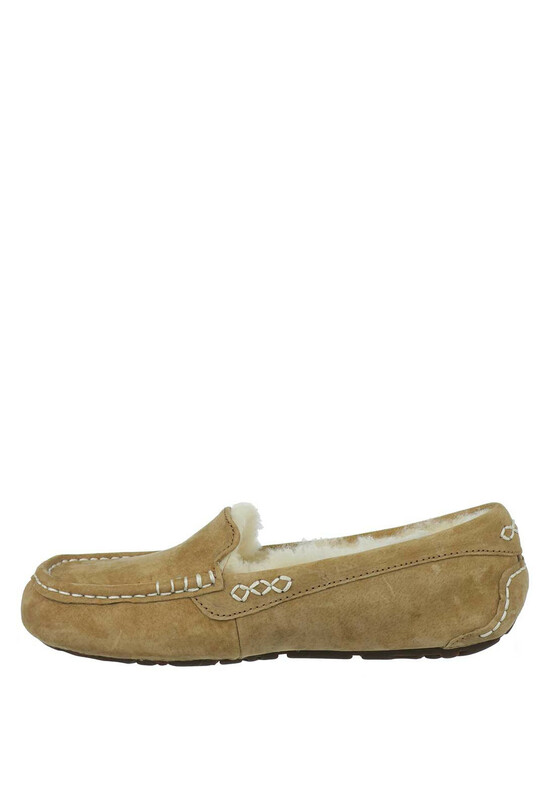 In the classic chestnut tan colour, UGG Australia presents the Ansley suede slippers which perfect blend fashion and comfort. Styled with a wool lining to keep feet cosy, UGG branding on the side and a durable rubber sole. The perfect investment for lounge lovers. Material: Upper- Leather. Lining and Sock-Textile. Sole- Other Materials.